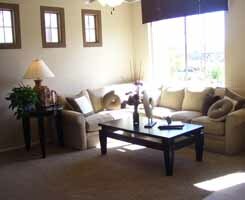 Click here if you would like to view other new Arizona homes at this community. 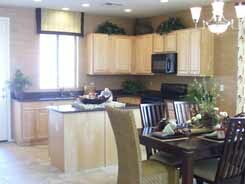 When searching for a new Arizona home, the Coventre model delivers great value for a 3 bedroom home. Maracay Homes builds this model at their Cresecentviews at Sonoran Mountain Ranch development in north Peoria Arizona near Jomax and 67th Avenue. The Coventre model is part of Maracay Home's flex design program. 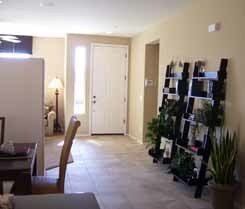 The flex design program allows you to configure the floor plan to what you are looking for. You can even incorporate some custom options as part of the flex design program. All of the new Arizona homes here are patio homes. The backyards are very small. If you are looking for a low maintenance backyard I highly recommend you visit this gated community. Please take a look at the Coventre floorplan. 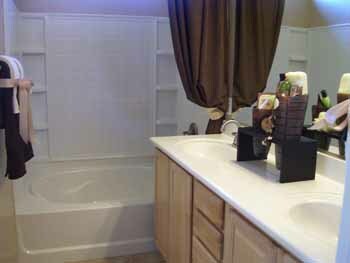 I also uploaded a virtual tour of this home that you can view. The base model has three bedrooms, a living room, and a nook. 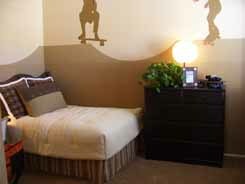 There are options to add a den in place of one bedroom. The home starts at approximately $189,900 at the time I wrote this. 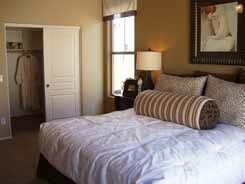 I always take photos and upload them here so that you can view the model homes. Normally I make all the pictures clickable so you can view larger photos, but I figured you would probably view the virtual tour instead. Because of this I made the pictures larger than normal and didn't make them clickable to save some web space. This is a great little starter home for a first time home buyer or a empty nester that is looking to move down into a smaller home. It is only 1,379 square feet so you are going to feel a little cramped if you have big kids running around the house with all of their big clothes and toys, but I really like this new Arizona home. It is way nicer than the first home I purchased. 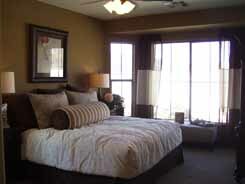 Follow this link if you would like view other new Arizona homes at this development. I strive to have the best new Peoria Arizona homes section on the web. 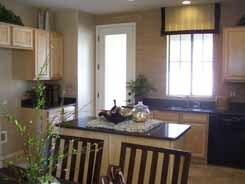 If you would like to expand your search and look at other Peoria Arizona new homes for sale spend some time in our new Peoria Arizona homes section. If you are ready to go visit this community please give me a call. I am always ready to go look at new homes.